Tinder dominates the dating world, but how does it compare to traditional dating? Online dating services began to pop up with the growing popularity of the Internet, following 1995-created Match.com, which inspired the rapid boom of meet-n-chat websites for couples-to-be. A 2016 study conducted by the Pew Research Center found that 15 percent of Americans use an online service or app to aid in their search for a partner, and 59 percent of adults continue to feel that meeting someone online was “a good way to meet people.” The 18 to 24-year-old age group saw a nearly tripled increase of dating app users from 2013 to 2016. Karla Moore, an Atlanta-based dating and relationships expert, explained that the reason for this influx is the growing amount of people that remain single into adulthood. Regarding apps like Tinder and Bumble, Moore said the key to avoid disappointment when meeting with another person is making sure to be on the same wavelength. Moore said that, even if someone seems “amazing upon meeting,” when it comes to Tinder, it’s important to remember the reputation of the app and set expectations accordingly. 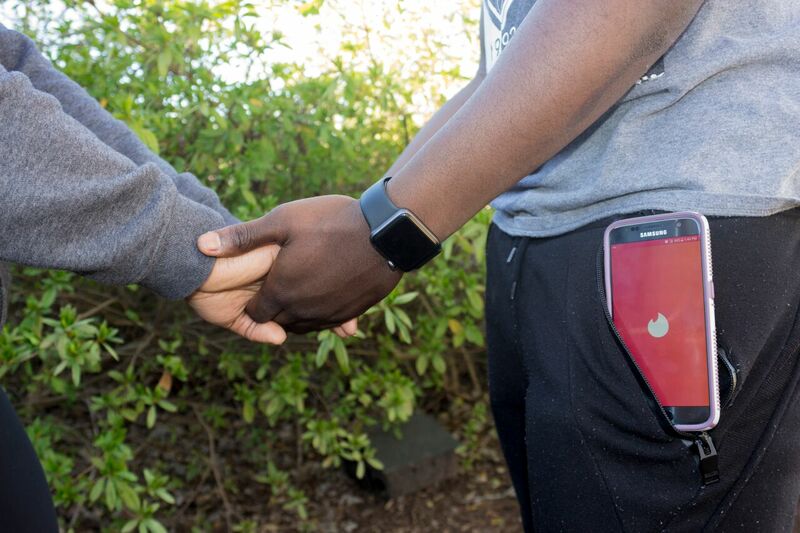 But for Georgia State student Kathleen Yund, Tinder turned out to serve more than a night of fun. She has been with her boyfriend, whom she met through the app, for over a year. “I expected nothing out of the app except for a few hours of entertainment. I had no intentions of meeting up with anyone, up until my now boyfriend asked me to hang out,” she said. Yund said she was hesitant at first about the date, but she ended up having a great time and soon went on more dates with the same person, eventually leading to a great relationship. “Before the first date, I would have been shocked to think that a Tinder date could lead to all this,” she said. Yund said that, even though there’s still a stigma about meeting your partner online, she has come to feel less embarrassed about her experience and relationship. As for those who want to pursue a relationship on such an app, Yund advises to have fun, but to always use caution.